DEPS company invites to Open House Day! 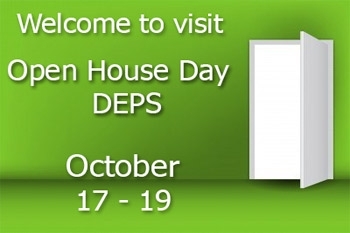 DEPS company invites everybody to Open House Day which will take place on October 17-19 at our office! You will have an opportunity to experience and learn more about us! We will be waiting for you at 18, A.Bubnova Str.,Kyiv on October 17-19 from 9:00 till 18:00. A special bus will shuttle from "KyivExpoPlaza" exhibition grounds (2Б, Salyutna Str.,) to the DEPS office departing at 12:00, 14:00 and 16:00 during all the days of EEBC-2012 exhibition (17 - 19 October). As for transfer to DEPS office during the exhibition days, please call ( free of charge) our manager Alexander Tel. : +380 96 658 49 41 who will be waiting for you at the exit "B". For more information contact our managers.